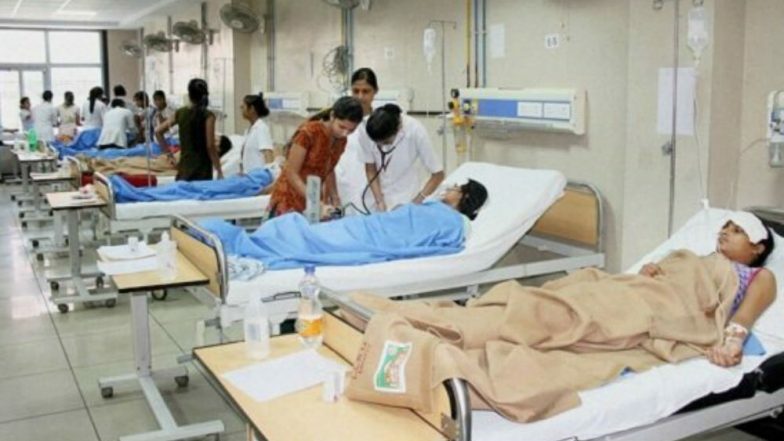 Dubai, March 24: After failing to procure travel insurance for his parents during their visit to Dubai, the hospital bill for an Indian expat's father at a hospital here has exceeded 100,000 dirhams ($27,225), the media reported on Sunday. Anubhav Khanna's father, Surendra Nath Khanna, had to be rushed to the NMC Hospital at the Dubai Investment Park due to acute breathlessness on March 15, the morning after his arrival, the Khaleej Times reported. He was diagnosed with a lung infection that had already spread to other organs, leading to multi-organ failure. Infection spread so fast that Surendra Khanna's left hand was amputated last week. Doctors are trying hard to save the other limbs. However, his right leg seems to be affected with gangrene and may need to be amputated as well. A Punjab resident, Anubhav Khanna came to Dubai 11 months ago and wanted to bring his parents. But he did not procure any travel or medical insurance for them. He is currently shelling out over 20,000 dirhams every day. "My brother and I have lost all our life savings. It is unfortunate that we didn't realise the importance of travel insurance... I had no idea this could happen," Anubhav told the Khaleej Times. Urging the Indian community to come forward and help the Khannas, Neeraj Agrawal, head of chancery and acting Consul-General of India to the United Arab Emirates (UAE), said: "Consulate officials and the community volunteer medical team are in touch with the family and doctors. We are keeping a close watch and helping in whatever capacity we can." Praveen Kumar, a social worker, told the Khaleej Times that the issue regarding travel insurance should be taken up at a government level to create awareness among Indians coming to the UAE. "It hardly costs 80-90 dirhams for insurance and if you take it from India it does not cost over Rs 1,000 for individuals."